Movie Reviews - Right Song. Right Time. Enter to Win a pair of tickets to see 'Pilgrim's Progress' or 'Breakthrough'! 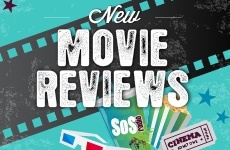 Each Friday we add new movie reviews! Scott Herrold & Adam Holz from PluggedIn.com talk about which new movies are family friendly!